8th June ’12 – Hired as wedding DJ for Mr & Mrs Austen at the Thistle Hotel, Haydock. Nice venue for weddings, played there for lots of weddings & events. Dave & Dannie (the bride & groom) met me at the Thistle’s wedding fayre last year & decided to book me for their big day. 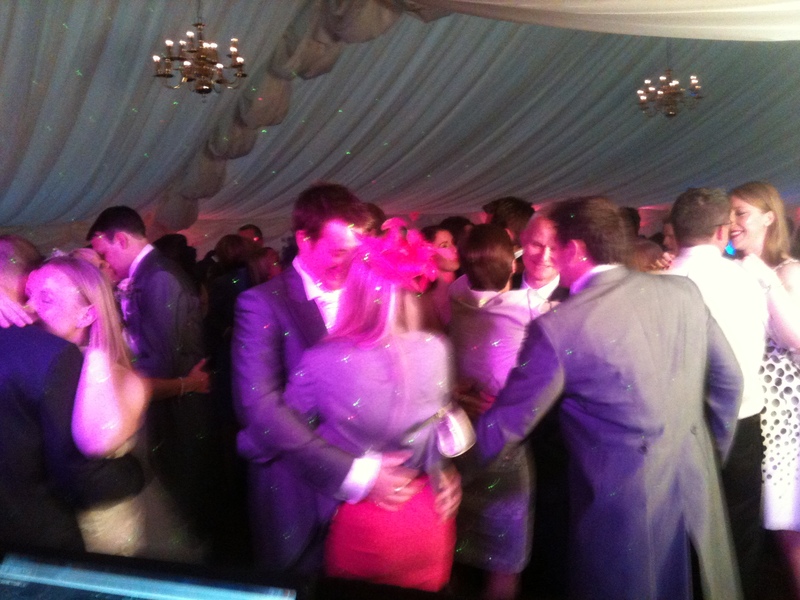 They were celebrating in the marquee which is a permanent feature in the central courtyard of the hotel. Lovely setting, only downside for the DJ is that you have to use the hotel’s PA system which isn’t brilliant, but I can work with it & in fairness, they have improved it since it was first installed. Apparently, it’s to keep the noise levels from troubling residents. Certainly didn’t stop us from having a great party! 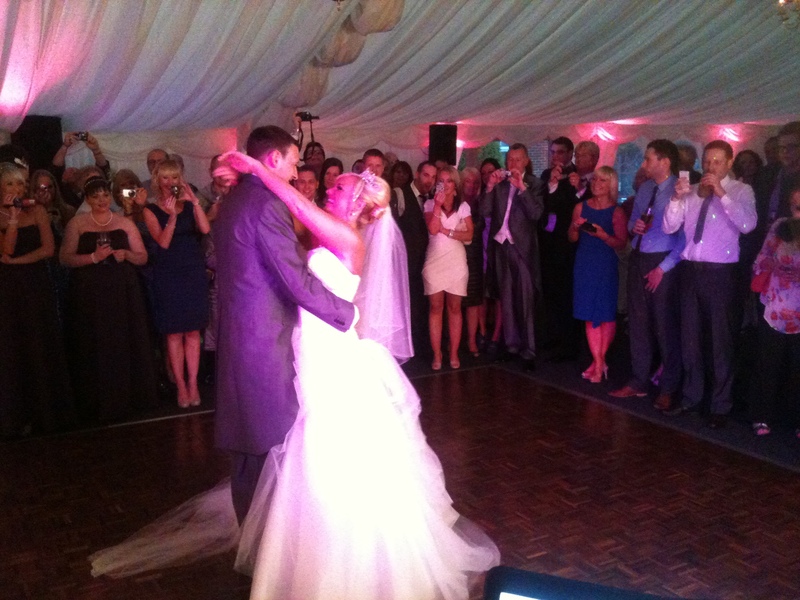 They actually performed 2 first dances! 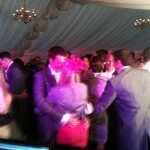 The first was their typical hang on to each other sort of dance! Which everyone joined in towards the end. 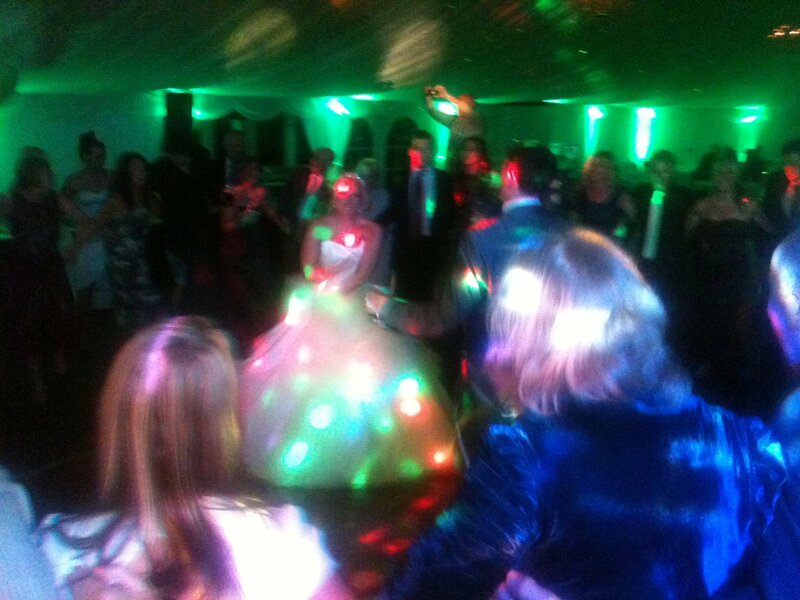 Whilst guests were dancing, the happy couple sloped off so that the bride could get changed for the next routine! 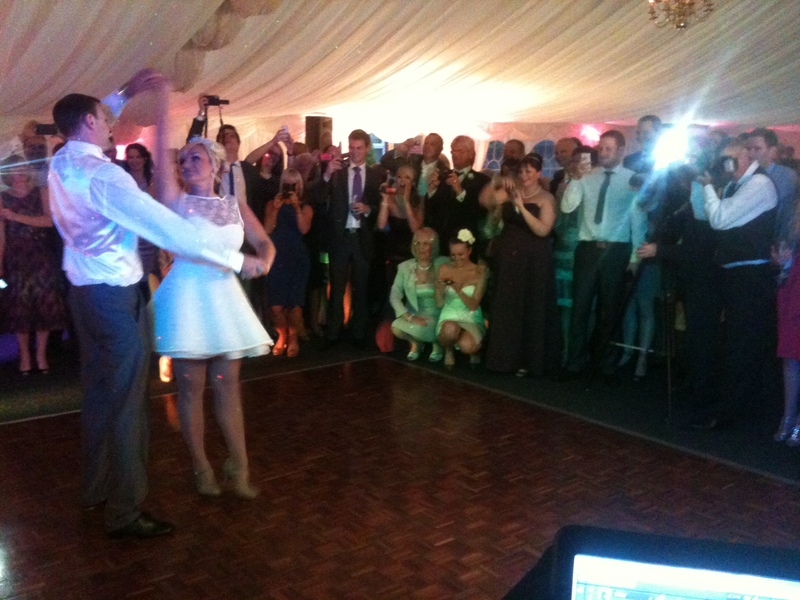 Dannie, a dancer from P&O had taught her new husband (a non dancer!) a routine which they then performed for the guests. They also had live music from party band the ‘Cat Birds’ who I thought were ok, unfortunately, we had to get them on early as they needed their own PA which had to finish by 10.30pm. After the band, I came on to play a mix of modern chart & a few classics which packed out the dance floor right through till the end which is at midnight in the marquee. Dave & dannie were keen for me to carry on, but the Thistle seemed quite strict about having to finish the music at 12, must be, again their residents/noise issues. Top night though! 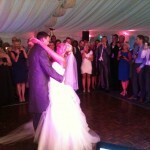 All the best to Mr & Mrs Austen! As a guide, expect to pay from £250 covering playing times of 7.30pm till midnight, then £25 per hour for any additional time.